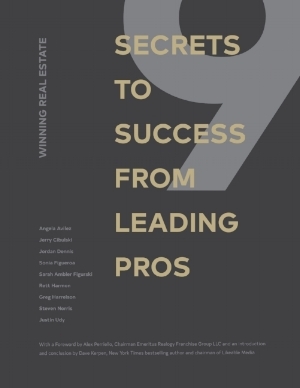 In eight months, Robert worked with nine leading Real Estate professionals to create, edit, and publish Winning Real Estate: 9 Secrets to Success from Leading Pros. As Associate Editor, Robert coached the writers, revised content, and guided Century 21 through the book's publication on Amazon. One week after its launch, it became a number one new release. What a book could do for you? Dave Kerpen hatched the idea of the White Elephant Dinner Party series. Robert transformed the concept into a website. Then the White Elephant became a reality. The White Elephant website not only informs new guests, but also provides a space for previous guests to stay connected. Are you ready for a new website to transform your business? Robert created a customized guidebook on how to use social media platforms to develop thought leadership. By following the strategy plan these Real Estate professionals were able to become industry influencers. They were able to utilize article writing, public speaking, podcasts, videos and more. This project culminated in an Amazon number one new release. How would a customized social media strategy help you develop your influence and thought leadership? Social media is increasingly pay-to-play, and you don’t want to get left behind. Robert will develop, manage and implement your social media campaign, engaging current clients and reaching new ones. How is your social media advertising?